If you are the 'Kelsall Steam and Vintage Rally' Two day Show organiser and you would like to update or amend the details shown, please contact us. Thank you. When is the next Kelsall Steam and Vintage Rally? Saturday 22nd to Sunday 23rd June, 2019. Kelsall Steam and Vintage Rally is listed under June 2019 Shows. Although we try to keep the information for this event as up to date as possible, we cannot guarantee that things haven't changed at the last minute, and we haven't been informed. Therefore, please contact the 'Kelsall Steam and Vintage Rally' event holder directly to confirm all details (especially event name, dates and location) before setting off to Chester. 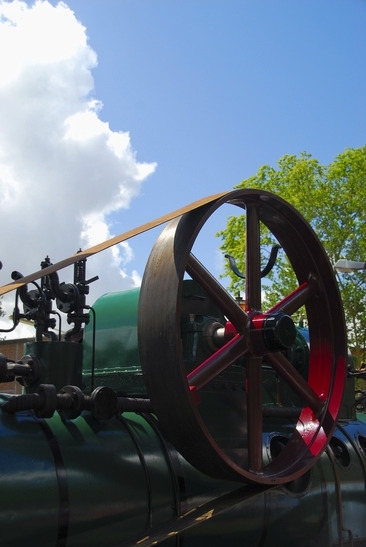 The Kelsall Steam and Vintage Rally is planned to take place at Churches View Farm, Kelsall Road, Ashton, Chester, Cheshire, Saturday 22nd to Sunday 23rd June, 2019. You may reach the event organisers on 07739 958 294. Kelsall Steam and Vintage Rally has become one of the largest displays of commercial vehicles in the country. We have annual ERF gathering, the Foden society and Morris commercial club who also attend.Kelsall Steam and Vintage Rally is held in the heart of Cheshire, Organised by local enthusiasts for the enjoyment of all who share their interests in the preservation scene. The event is now well established and always held during the latter end of June.